Who was the man to whom Tom Robinson devoted a whole verse of Glad To Be Gay? The only online references were in vintage Robinson interviews and lyrics, so I resolved to piece together his story. 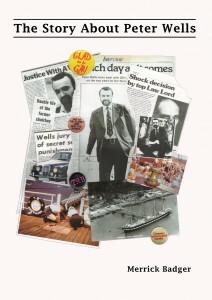 Peter Wells was 26, his partner was 18. Because this was England in 1974, when the gay age of consent was 21, Wells was sentenced to two and a half years in jail. There, he was assaulted and abused by guards and inmates alike. 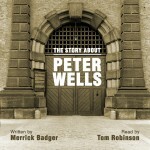 On release from prison he was interviewed by Gay News just as Tom Robinson was composing Glad To Be Gay. Like all of us, on closer inspection Peter Wells turned out to have a more complicated life than first appeared. Beyond the man himself, Wells’ story illuminates not only the persecution of gay men but other dark areas of our recent past too. His early years were fraught with tragedy, losing two sets of parents before his teens. Damaged youngsters were berated rather than counselled and the Victorian brutalisation of children continued well into modern times. Peter Wells was a victim of it all. 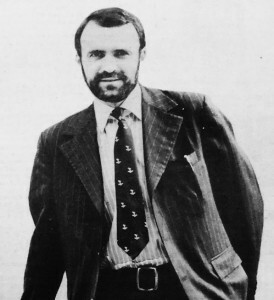 Living in an affluent Surrey village in the late 1970s, behind his ostentatious social veneer Wells launched an anonymous case at the European Courts of Human Rights challenging the British government’s age discrimination against gay men. It was pioneering work that paved the way for eventual equality. But, scarred by his abusive background, his life veered and he would not live to taste the liberty he initiated. 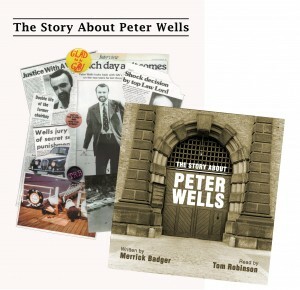 Trawling archives, speaking to many people who knew Wells – including the only interview his partner has ever given – The Story About Peter Wells uncovers the man and the times.